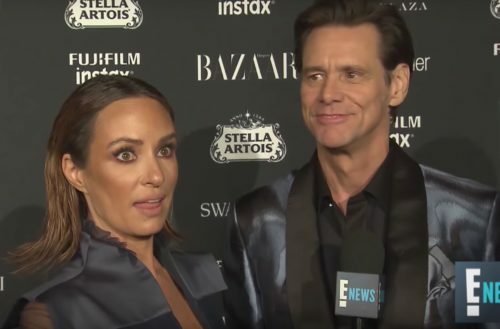 Jim Carrey stopped to chat with E! News on the red carpet at a New York Fashion Week event and the final result is bizarre but also incredible. Sadler struggles, but she does a pretty good job of challenging Carey’s frame of reference. Carrey next gives some impersonations and voices.